My name is David Williams, I am 35 and I live in Washington in the North East of England. I became interested in Russia about 17 years ago although it wasn't until I visited the place that my interest became quite so serious. In 1988 I went to Russia for the first time when it was still the Soviet Union and I have been back twice since then. Although all my trips have included Moscow I have also visited St Petersburg and the Golden Ring cities of Vladimir and Suzdal. 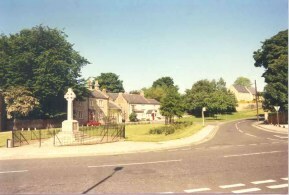 This shows the Cenotaph next to the village green, in the background is The Washington Arms pub. 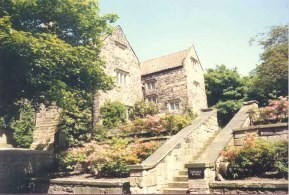 This is Washington Old Hall which is the ancestral home of George Washington.